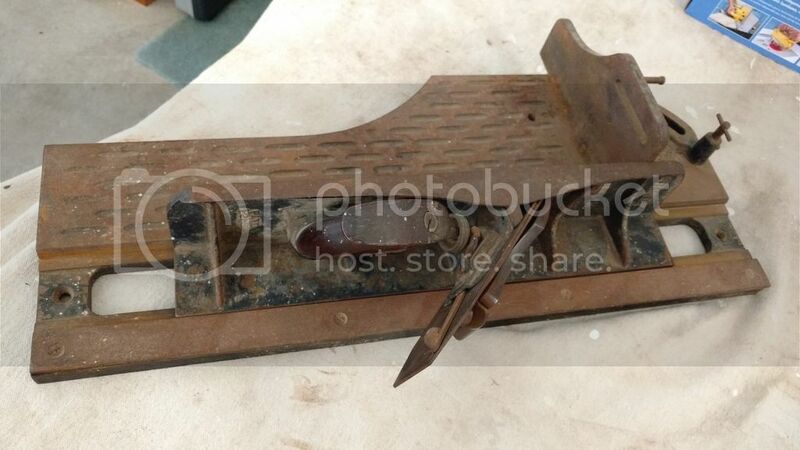 I have just acquired this quite rare Stanley 51/52 Shooting Plane in very original if a little rusty condition. It is my intention to clean the plane up to make it usable again, so I can use it in my model making. I really like using hand tools as much as possible when making models, I think it gives me much greater control and accuracy. Does anyone know where I can get an original hold down bracket with wing nut, washer and cup head bolt. I have acquired a non original bracket but an original would be better, but I am having trouble getting the original Stanley bolt and wing nut. That is friggin awesome. I have a newer 51 and love it. Good luck finding parts bud. Finding one without the other is a score. Finding both is next level shite. Great acquiring Peter. I hope to see the process of making it usable again, and finally how you use it for your models. I’m a power tool user and it is always nice to see how others do there job. Wow PJ...Like Dutchy, I’m an electron sucker devotee, but love to use those old “hand me downs” ,which are nowadays in the treasure trove of history, when possible. 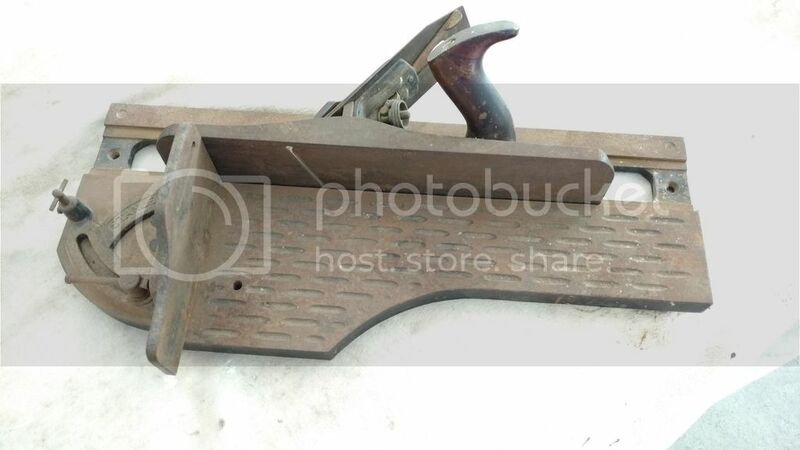 Damn… what happened to the days when tools were tools and men were proud of their appendages! Congratulations. What a wonderful plane. I would suggest Eric Robinson at New Hampshire Plane parts as a place to look. I’m trying to find Eric’s email address but here is a link to his eBay store. His email is [email protected] I suggest sending him an email as he has much more than what is listed on eBay. Thanks Wayne, I have visited his store on line, but now I will send him an e-mail. Hope the restoration proceeds well Peter….